A superior pointer for tour guides and general use because its rugged waterproof toughness makes it all the more durable for all around use. The cooling fins and large head keep it cool to maintain its intensity during continuous use. 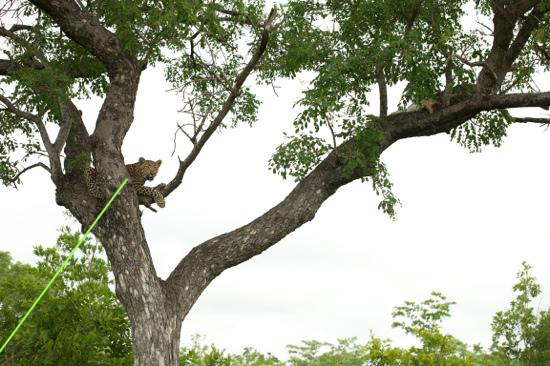 This leopard in the tree might not be seen by everyone in the group if not pointed out by the guide with his laser.